What’s Left for the Companions in Guilt Argument? 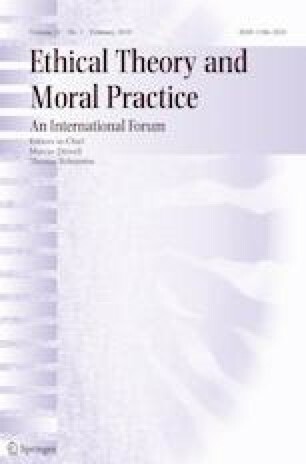 Companions in guilt arguments (CGAs) respond to moral error theory by pointing out that its philosophical rationale mandates the rejection of all categorical normative reasons, including epistemic reasons. A number of philosophers (including Christopher Cowie, Jonas Olson, Richard Rowland, and Ramon Das) have recently been engaging in a dialogue about the strength of this argumentative strategy and the significance of the criticisms that has been raised against it. In this paper, I identify a specific argument, which I dub the ‘bullet-biting response’ as a crucial element in some recent attacks on the CGA. I assess five objections to the bullet-biting response and conclude that only the fifth poses a significant problem. Specifically, I argue that the proponent of the bullet-biting response is at a dialectical disadvantage in this particular debate. While this disadvantage is not decisive, it has two implications (one theoretical and one practical) that raise serious concerns for the bullet-biting response.